long distance line haul with branches strategically placed in Auckland, Mt Maunganui, Napier, Palmerston North, Wellington, Christchurch and Dunedin. This enables our company to excel in Inter- Island movements. Now in excess of 50 years later the Company has relinquished the livestock division and now just concentrates on machinery and general freight. 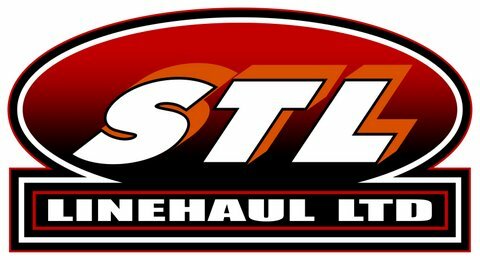 STL Linehaul Ltd operates a fleet of well presented trucks and trailers, B Trains (curtainsiders and Flat Decks), 13 & 14 metre flat deck and step deck low bed semi-trailers and Trombone Trailers. Each branch is under the control of either a Family member or a competent employee with many years in the industry who co-ordinate with each other in respect of nightly and Inter- Island loadings. The compnay has just concluded a major upgrading of equipment and premises as well as taking on board extra logistical staff. All work is undertaken by the Company's own vehicles wherever possible but the occasion does arise where sub-contractors are employed. Extreme care is taken to scrutinise the operator before they are employed. Service of the North Island are normally within a 1 to 2 day time frame for deliveries. Service of the South Island is generally with 2 to 3 day time frame, although deliveries to the extremities of both Islands can take an additional 1 to 2 days. The Company's pricing structure is based upon weight and cubic measurements whichever being the greater. The conversion factor within each Island equates to 3 cubic metres to the tonne. Consignments of unusual size or configuration, also of an awkward nature or Freight with extreme fragility would be by negotiation. In which case we would like to sight and measure the product before quoting on their movement. This also ensures you the most cost effective means of transportation. STL Linehaul Ltd is a company that has been part of the transport scene in New Zealand for many years and intends to stay that way for many more.